This week's prompt made me really nostalgic and had a great time spending quality time with my younger self! More than writing the post, I enjoyed being with kid me! 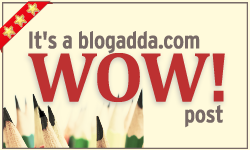 Thank you for selecting my post for the WOW badge! Thank you all.. We will now have ten good reads on our list!!! Congratulation all. Will anyone please tell me how to participate in this program?? I would love to write and spread joy. Thank you! !